The Northrise Bike Team once again is embarking on their two day trip from Los Angeles to San Diego. Last years first ride was such a success and we look forward to more fun and adventure. Last years fundraising went to the purchase of 23 bicycles which were dedicated to the Northrise staff and farmers. With over 120 students at Northrise, we have a long way to go to provide better means of transportation, which in the end provides more safety to the students and workers of the university. Please click on the link below to learn more about our ride and help us reach our fundraising goal. The Northrise Bike Team will be uploading photos along the way, so join our facebook group to keep up with the action. 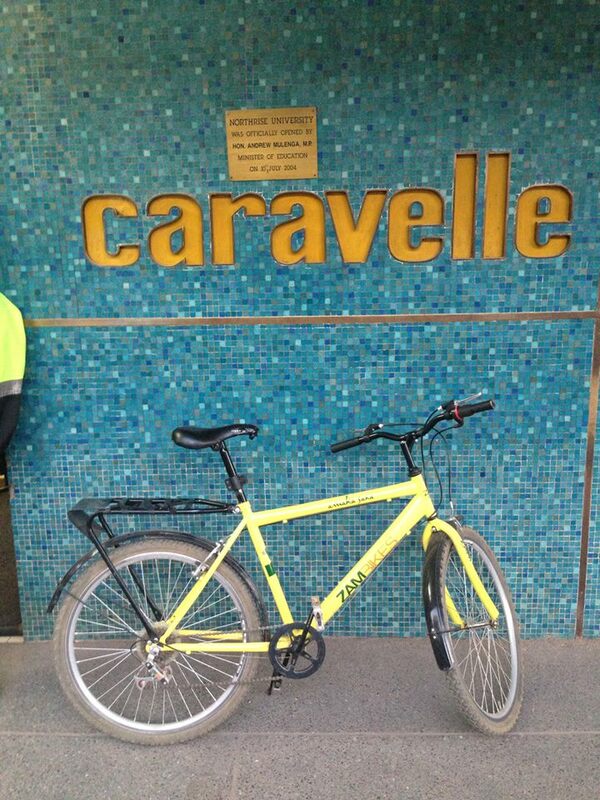 Thank you Adam Sallee for providing a photo of a bike he recently saw outside the Caravelle House that a worker rode into town from the farm.